​California statewide emergency water regulations. 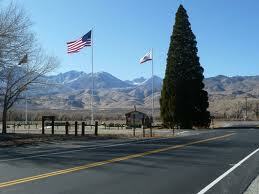 The Big Pine Community Services District (District) was formed in 1968. The Wastewater Treatment Plant was financed with Clean Water Act grant funds and the sewer collection system was financed through a 25 year bond. Both projects were completed and went into operation in 1972. In 1982, the District began operating and maintaining the water distribution system under a 10 year lease/purchase option with the Los Angeles Department of Water And Power. The District acquired ownership of the system and later, under the terms of the Inyo/LA Water Agreement, was reimbursed for the cost of the District’s improvements to the system. Currently, the District provides water and wastewater services to 348 residences and 16 businesses. 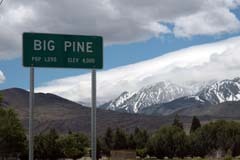 ​The Big Pine Community Services District is governed by a 5 person elected Board of Directors composed of parcel property owners from the Big Pine Community. Their role is to provide responsible leadership by determining policy for the District. The Board oversees the day to day operations of the District, which are run by Independent Contractors providing office space, secretarial functions, water and sewer monitoring and maintenance and wastewater treatment and water distribution systems duties. To provide water and sewer services to the Big Pine Community Services District Community in a safe, high quality, efficient, professional and courteous manner. ​​​​​​​​​​​​​* Broken links on this page indicate information not currently available.